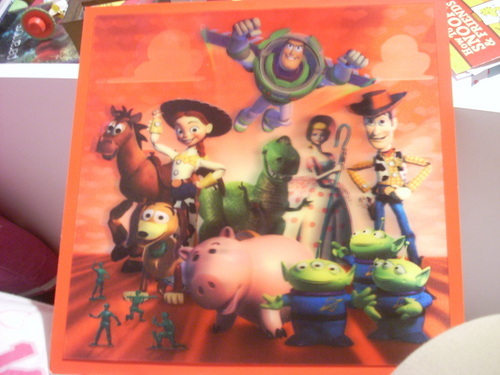 Toy Story Valentine's Card. The best Valentine's Card I've EVER gotten. HD Wallpaper and background images in the Toy Story club tagged: valentine's day cards toy story. This Toy Story photo might contain anime, comic, manga, cartoon, comic buch, karikatur, and comics.